Adrian Joined Abbott’s Hospital Products Division in 1996 as a Process Engineer having completed his studies in the Institute of Technology, Sligo, graduating with an honours Degree in Quality Management having already attained Diplomas in Automation and Electronic Engineering. In 1999 he moved into the role of Quality Engineer for Abbott’s Hospital Products Division supporting multiple product transfers in to the Sligo site. In 2002, he transferred to the Abbott Nutrition device site asa Manufacturing Quality Manager with Quality responsibility for all production processes and the on-site sterilization facility. In 2007 he commenced work in Abbott’s Diabetes Care Division in Donegal. As Site Quality Manager, Adrian was responsible for developing and implementing the site’s Quality strategy & associated programmes. Furthermore, he was a key member of the site leadership that successfully delivered a site transfer and global expansion project. After 5 years he moved to assume the role of Technical Manager in 2012. In this role, Adrian was key in achieving extensive product performance, in-sourcing and cost improvement projects whilst also developing the sites Operational Excellence Strategy. In 2014, following the success of his roles in Donegal, Adrian and his wife Sharon moved to California where he took up the position of Director, NPI & Programme Management. Adrian played a key role in the division’s introduction of next generation sensing technology to the market. He spent 3 years working in the Bay Area of San Francisco before returning to lead up the Diabetes Operations in Donegal as Site Director.. In his current role, Adrian is responsible for delivering the largest expansion project in the site’s history. Adrian and Sharon have settled in the North West of Ireland with their three wonderful children. Adrian holds a Master’s in Business Administration from the Henley Business School, University of Reading along with a B.Sc. in Quality Management from the Institute of Technology, Sligo. Brian P. Golden is Director of the BPDA. He oversees all aspects of the organization and focuses on executing its core mission of responsible, community-engaged planning and economic development. 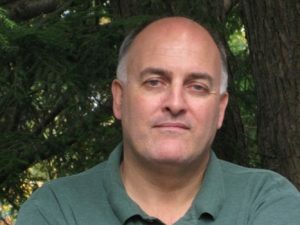 An attorney since 1993, Brian is a former member of the Massachusetts House of Representatives, where he served the Allston-Brighton neighborhood of Boston. He was also the New England Regional Director at the US Department of Health and Human Services, a Commissioner at the Massachusetts Department of Telecommunications and Energy, and a member of the Board of Directors at the Federal Home Loan Bank of Boston. Brian has served as a US Army officer, active duty and reserve, for more than twenty years. His military experience includes duty in Bosnia, Iraq, and Israel/West Bank. Brian is a graduate of the Boston Latin School and Harvard College. He received a Master’s degree from the US Army War College and a law degree from the College of William and Mary’s School of Law. 35 years’ experience in the Travel Industry serving both Tourism Ireland and Aer Lingus in a variety of management positions in several overseas markets. Responsible for Tourism Ireland’s Marketing Operations for France, Spain and Italy. 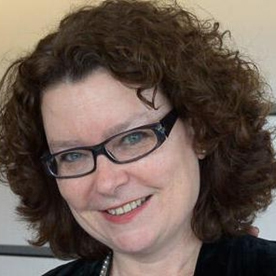 Responsible for Tourism Ireland’s Marketing Operations in the Benelux and Nordic Countries. I was charged with developing the commercial distribution of the Irish tourism product throughout Australia and New Zealand along with project work in South East Asia. Ensuring all investment in Media, Business Tourism and distribution opportunities were optimal and in line with corporate objectives. I assumed responsibility for the marketing and sales budgets for North America whilst managing the sales force operations of our offices in New York, Los Angeles, Chicago and Boston. I opened and managed the Aer Lingus office in Los Angeles in preparation for direct services from Ireland. Aer Lingus Travel Shop, Regent Street, London. Ciarán is a serial entrepreneur who brings hands-on transatlantic experience to the COSIMO Team. He has over ten years of deep tech market experience and has worked closely with COSIMO’s portfolio companies Gecko, locatible, Nova Leah and Oneiro to help them develop their US infrastructure and expand into the US market. Ciarán leverages his extensive network of “pro-Irish” investors, advisors, government agencies and business leaders throughout the US to bring strategic benefits to these organizations. He is involved in many regional business organizations and sits on the US Board of the UCD/Michael Smurfit Graduate School of Business. Ciarán is a proven CEO, operational maven and innovative marketer who has founded and secured funding for many successful start-ups. He was the founder and CEO of Ovation, now part of the hugely successful and global MCI Group where he made a successful exit. He also served as Founder and First Chairman of the Dublin Convention Bureau and was one of the pioneering lobbyists for the Dublin Convention Centre. Ciarán has won international awards and has spoken at many prestigious conferences and events, and enjoys applying his business, marketing and international experience to help build successful companies in the technology sector. Eddie Friel is Director of Development and Alumni Relations at Ulster University. As well as providing support for our graduates across the world, the Development and Alumni Relations Office works to raise funds to support teaching and research and the student experience at Ulster University. He previously served as Head of the Business Liaison and Academic Enterprise at the University and has worked in the private sector in the IT industry and at Queen’s University, Belfast. He also worked with Invest Northern Ireland, where he assisted growing businesses, across a variety of sectors, in a development role. He has served as a Non-Executive Director on the Board of the Foyle Heath and Social Services Trust, was a Governor of Omagh College of Further Education. 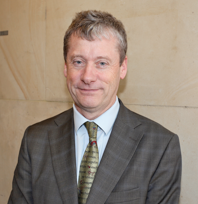 He is currently a Non-Executive Director of the Clinical Translational Research and Innovation Centre (C-TRIC), based at Altnagelvin Hospital, Derry, and of the Nerve Centre, a leading creative media arts centre which is based in Derry and Belfast. Eunan Quinn is Senior Planner with Donegal County Council having graduated from Queen’s University Belfast’s School of the Built Environment in 1990. Eunan Is an active Member of the Irish Planning Institute, having previously served on the Institute’s national executive, and has an MSC in Innovation Management in the Public Service (jointly conferred by Ulster University & Letterkenny Institute of Technology). 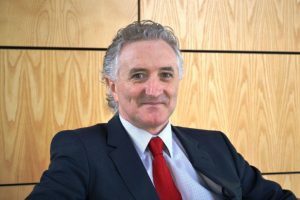 Garry Martin has taken up the role as Director of Economic Development and Global Engagement with Donegal County Council in May 2018. This brief includes development of strategic economic infrastructure, corporate client support and investment, interventions to support innovation, development of the tourism product and marketing offer in Donegal and the maximising of the Donegal Diaspora as part of a newly structured Directorate within the Council. Garry has previously held the role of Director of Finance, Director of Emergency Services and Director of Information Systems within Donegal County Council and is, additionally, the designated Director of the Donegal Municipal District. He held the finance position in Donegal from January 2010 until May 2018 and has worked both locally and more recently, nationally, (as president of the Heads of Finance Association) in leading and developing financial responses to strategic issues challenging both the Council locally and the sector nationally across a range of areas. These include the financial modelling for Donegal County Council post 2010 and, during 2016 and continuing through to May 2018, leading in the development of a range of sectoral responses dealing with a range of acute financial matters facing local government and more recently in exploring challenges deriving from the continuing Irish Water transition and the implications for the local government sector arising from same. 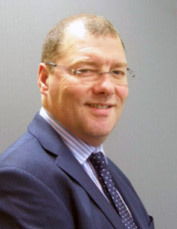 Garry is a qualified Chartered Public Finance Accountant, holds a Master of Science Degree (with distinction) in International Business and also holds an Advanced Certificate in Business Counselling from Durham University Business School. 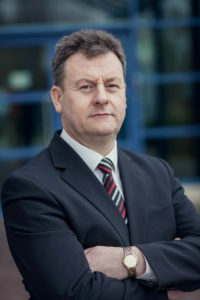 Garry has previous experience in the Economic and Cultural Development sector, working variously as an Assistant Chief Executive with the County Enterprise Board in Donegal during the period 1995 – 2000 and as a Senior Executive Officer (SEO) with Donegal County Council in the Community and Enterprise Area from 2000 – 2009. During that time he has worked with numerous small businesses in County Donegal and, subsequently as SEO, developed a range of programmes including a number under the PEACE II Programme, INTERREG IIIA and specific initiatives revolving around economic development, capital infrastructure development in areas such as tourism and in the development of a number of specific initiatives including the establishment of the Diaspora Project in County Donegal. 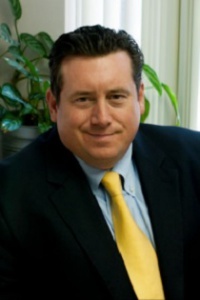 James Davitt Rooney is Principal of Rooney Associates LLC and serves as Senior Fellow at the Boston Foundation and Ambassador for the Community Foundation of Northern Ireland. He co- founded the Harvard Business School Alumni Angels of London when living in the UK from 2012-17 and has advised foundations, universities, corporations, and governments on strategy, business development, and public affairs. Rooney served as the Boston Foundation’s first Director of Public Affairs from 2005-10 when it won the Council on Foundations’ top national award for public policy impact. He also served as Brown University’s first state and local Director of Community and Government Relations in the 1990s and in its Development and Alumni offices. Rooney was Vice President of the Mass. High Tech Council in 2010-11, leading its clean energy, talent, and tech transfer portfolios and helped to launch and lead the seminal national urban think tank CEOs for Cities from 2001-05. Rooney often appears in the media, providing commentary on U.S. presidential elections and making the first known call for Pope Francis to write an encyclical on climate change. He has served on several NGO boards and earned an MPA from Harvard Kennedy School and a BA in Ethics and Political Philosophy from Brown. Joanne Kilmartin has been employed by Donegal County Council since 1999. She was appointed as the Donegal Diaspora Executive in 2016. Her role is to act as a resource for the economic, social and cultural development of Donegal and this is achieved through the delivery of a number of key strategic initiatives focussed on recognising and connecting with the Diaspora. The objective of the project is to engage and build relationships with the Donegal Diaspora around the world. Prior to this appointment she was the Programme Development Officer with the European Union Programme for Peace & Reconciliation which resulted in over €15M worth of funding to a range of community projects in County Donegal. She holds a First Class Honours BA degree in Humanities (Community Development) from the Letterkenny Institute of Technology. John Andy Bonar is Head of Development at Letterkenny IT and holds Institute wide senior management responsibility for Research, Enterprise and Innovation, Internationalisation, Lifelong Learning and Engagement. John Andy is a director of three not for profit Community, Sporting and Citizens Information organisations. He holds a significant number of Regional, Cross-Border and National representational roles on behalf of LYIT and is currently Chair of the Audit Committee of Donegal County Council. John Andy is a graduate of NUI Galway with B.Comm (Hons) and M.Econ.Sc (Hons) degrees as well as a range of other continuing Professional Development Qualifications. He worked previously for 10 years in the private sector in Management Consulting in Ireland, and the Construction Industry in the UK before joining LYIT 20 years ago. He joined LYIT as Lecturer in Business and was previously Head of School of Business before assuming his current role of Head of Development in 2007. Councillor John Boyle was first elected to Derry City Council in May 2011 and re- elected to represent the Foyleside District Electoral Area of the new Derry City & Strabane District Council in 2014. He has been a Councillor for seven years. In that time Councillor Boyle has held a number of Chairmanships or Positions of Responsibility on the Council, including as Chairperson of the Council’s new Planning Committee in its second year of operation in 2016. 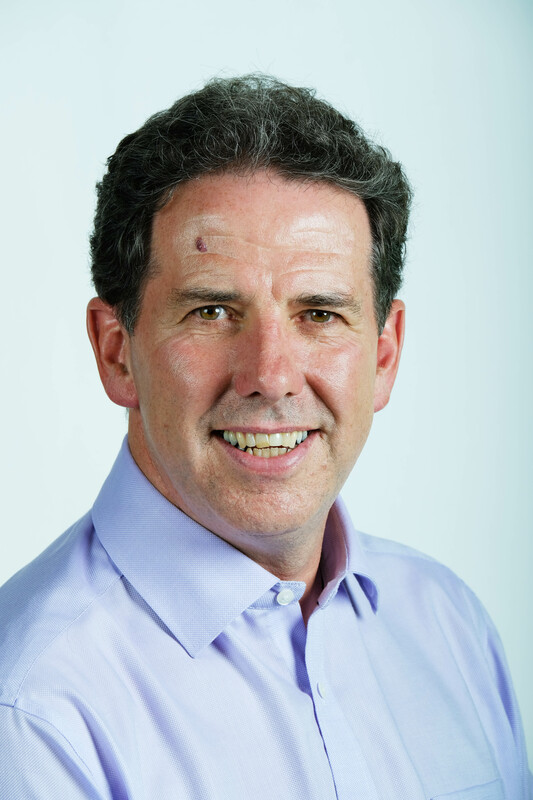 Councillor Boyle was previously Deputy Mayor of the City and District in 2017- 2018. Councillor Boyle has previously worked in media production, education and training of young people and adults. Originally from the Oakfield area of the city, Councillor Boyle graduated from the University of Ulster, Coleraine with a BA Honours Degree in History and was previously educated at Rosemount Primary School and St Joseph’s Boys School. 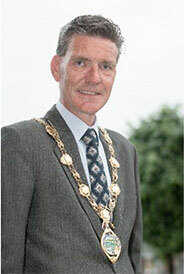 John Kelpie is the Chief Executive of Derry City ad Strabane District Council. Established in April 2015 as a result of a programme of local government reform in Northern Ireland, the Council area comprises the vibrant and youthful City of Derry/Londonderry, the busy market town of Strabane and a diverse and attractive rural area of designated outstanding natural beauty. Derry is the second largest city in Northern Ireland/fourth largest city on the island of Ireland and is the principal sub-regional economic driver of a cross border City region of over 350,000 people. John led on the creation of the new organisation designing an innovative, flexible and responsive staffing structure with a clear vision and purpose to develop a thriving, prosperous and sustainable City and Region with equality of opportunity for all. The Council is leading and delivering on this vision with its many civic, statutory, community and business partners through its Strategic Growth Plan 2017-2032 driving economic, environmental and social well-being and regeneration and by addressing and targeting poverty, social exclusion and disadvantage. As Chief Executive, John leads a talented and dedicated senior management team and staff with an outcomes-driven focus on successfully implementing the key objectives of the plan which will see over £3.2 bn of investment and opportunity in the City and region over the next decade, significant physical regeneration and environmental projects delivered, increased community engagement and participation and improved citizen health and well-being. Kevin O’Connor is Head of Business at Derry City and Strabane District Council. Established in April 2015 as a result of a programme of local government reform in Northern Ireland, the Council area comprises the vibrant and youthful City of Derry/Londonderry, the busy market town of Strabane and a diverse and attractive rural area of designated outstanding natural beauty. Kevin is a member of the Senior Leadership Team of Derry City and Strabane District Council and is responsible for leading Council’s Business team. Kevin is responsible for City & Regional Economic Development, Entrepreneurship and Business Development, Rural Development, PEACE IV Programme, Rural Development and Digital Services. As Head of Business, Kevin leads a talented and dedicated business team with an outcomes-driven focus on successfully implementing the key economic objectives of the strategic growth plan. Kevin is a recent Alumni of the US State Department International Visitor and Leadership Programme with a specific focus on Entrepreneurship and Small Business Development. Originally from Cork City, Ireland and now residing in Boston, Laura is the Executive Vice President, US Operations at RxCelerate, an outsourced drug development company. In her role, Laura is responsible for leading all aspects of the company’s expansion into the US, as well as overseeing global Sales, Marketing and Business Development. Prior to this role, Laura was the Director of Business Development at MassBio (Massachusetts Biotechnology Council), onboarding over 650 new companies in 4 years. Additionally, Laura is the President of the Boston Irish Business Association (BIBA). In 2018, Laura received the Irish Echo 40 Under 40 Award, as well as their Business Innovator Award. In support of early-stage innovation, Laura is a Mentor and Judge at MassChallenge within their Bridge to MassChallenge program, advising foreign companies on aspects of market entry and market intelligence as well as Sales, Marketing and Business Development strategy. Laura has been a BIBA Board Member for several years and was awarded the Boston Irish Business Young Leader Award in 2015. Prior to her work in the BioPharma industry, Laura worked for a Financial Services company, First Marblehead Corporation in Boston. Laura is a proud member of the Irish Network Boston Board of Directors and is affiliated with many worthwhile organizations: Quincy Chamber of Commerce Young Professionals, the Edward M. Kennedy Institute for the United States Senate – 1787 Society, and the American Heart Association. Laura is a three-time graduate of Northeastern University, holding a BSBA in Finance, a Master’s Degree in Innovation and a Master’s Degree in Business Administration (MBA). Laura is passionate about business, disruptive technology, economic development, international trade and investment, and innovation. 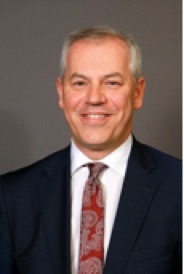 Professor Mark Durkin is Executive Dean of the Ulster University Business School (UUBS). Prior to joining Ulster Dr Durkin spent over a decade in various service, sales and strategic marketing roles within the Bank of Ireland Group. His teaching and research focus is at the marketing / technology interface in various business contexts and he is currently examining competency sets for marketing managers as levels of digitisation increase. He completed his PhD in 2005 (Loughborough University, UK) and was awarded the UK Chartered Institute of Marketing’s ‘Marketing Person of the Year’ in 2006 in recognition of his contribution to marketing education in Ireland. Mark has held senior positions at Ulster in both academic leadership and professional services leadership contexts. Under his leadership as Executive Dean Ulster University Business School is now the only UK business school with formal relationships with both Harvard Business School and Babson College, Boston, USA. He is committed to embedding entrepreneurial leadership within the business curriculum. Mark is a Fellow of the Chartered Institute of Marketing, a Fellow of the Institute of Banking and is a Senior Fellow of the UK’s Higher Education Academy. He has published over 60 peer reviewed academic papers and is an invited scholar to Babson College in Boston and a visiting professor to Philadelphia University. He is also part of the ‘World Famous Scientist and Scholars Visit Hubei Programme’ in China. In May 2018, Mark was appointed to the role of Director of Enterprise, Employment and Property at Údarás na Gaeltachta. Údarás is the Irish State Agency responsible for supporting and developing those parts of Ireland where the Irish Language is the spoken language of the community. Údarás is the Enterprise Development Agency for these areas, and has responsibility for economic, social and cultural development there. Mark heads up the Enterprise function of the Agency. Mark’s background is entrepreneurial: he co-founded (in 1999) and was CEO of a weather forecasting business Nowcasting Weather, which was sold to Meteogroup, Europe’s largest private weather company with operations in 17 countries around the globe. He has worked in the commercial weather services business for 17 years, and after the acquisition by Meteogroup became responsible for all MeteoGroup’s services to the Global Shipping, Ship Routing and Offshore Industries. Prior to this he served as Regional Director with the company, responsible for MeteoGroup UK (General terrestrial forecasting with a special emphasis on Roads, Rail, Energy and Media), MeteoGroup Offshore (focusing on the Global Offshore Oil and gas and Renewables Industries), and MeteoGroup US (General terrestrial forecasting with a special emphasis on Energy). Dr. White received a Ph.D in Marine Science from the National University of Ireland, Galway. He has worked in a wide variety of marine based commercial operations in technical and managerial roles including fish and shellfish aquaculture, and in marine research management the Ireland’s Marine Institute. Maeve Seoighe (Joyce) works as an Enterprise Executive with Údarás na Gaeltachta assisting enterprises across the Gaeltacht (Irish speaking regions of Ireland) to develop their business plans and create employment. Support is provided through a range of soft supports, grant aid and investments. In 2016 Tourism was added to her portfolio and she is now implementing the 2018-2020 Tourism strategy for the Gaeltacht. Destination marketing to promote the Gaeltacht’s unique offering in terms of language and culture will be central to this. Prior to joining Údarás na Gaeltachta Meadbh worked in the television and film sector and as an independent marketing consultant. Michael is currently Head of Enterprise and Economic Development in Donegal County Council with particular responsibility for the Local Enterprise Office (LEO) , inward investment enquiries, the Donegal Diaspora project and the national Enterprise Europe Network project. 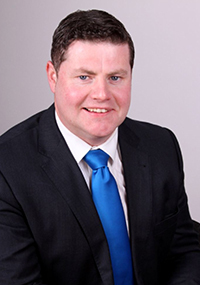 He is also executive secretary of the not-for-profit micro finance organisation, Donegal County Enterprise Fund. The Local Enterprise Office provides a suite of supports to small and micro businesses in Donegal and engages pro-actively to promote entrepreneurship and small business development throughout Donegal. The Local Enterprise Office has been delivering sector specific initiatives for the past six years for the food sector and the creative industries sector in the county. It is also currently delivering on four EU funded international programme. As well having over 30 years of experience in working with small and micro businesses and in regional and local development, he has over 25 years of experience in micro credit and was a non-executive director for three years of the inaugural board of Micro Finance Ireland – Ireland’s only national micro credit agency. He is a Fellow of the Institute of Management Consultants and Advisers and a graduate of University College Galway ( BA), University College Dublin( MA) , Ulster University ( MSc Innovation Management), the ACCA and Durham University. His areas of interest are in programmes and models for the promotion of entrepreneurship and new business start-ups, business development, innovation in small businesses and internationalisation. SENATOR MIKE RUSH proudly serves the citizens of the Massachusetts Norfolk & Suffolk District, which includes the City of Boston neighborhoods of Forest Hills, Hyde Park, Readville, Roslindale, and West Roxbury and the towns of Dedham, Dover, Needham, Norwood, and Westwood in Norfolk County. Prior to being elected to the Senate in 2010, Senator Rush served as a member of the House of Representatives from 2003 to 2010 representing the people of the 10th Suffolk District. In the House, he served as a member of the following Joint Legislative Committees: Revenue, Veterans & Federal Affairs, Judiciary, Natural Resources & Environment, Public Service, Labor & Workforce Development and the House Committee on Ways & Means. Representative Rush served as the Historian of the House of Representatives and was appointed by the Speaker as House Chairman of the Special Joint Committee to celebrate the 375th Anniversary of the Legislature. In the House, Representative Rush was elected by his Legislative Colleagues to serve as Chairman of the Boston Legislative Delegation. As Chairman, Rush worked as a liaison between Boston Mayor Thomas Menino and the legislative leadership at the State House. Currently, Senator Rush is Senate Chairman of the Joint Committee on Veteran & Federal Affairs, Chairman of the Senate Committee on Personnel & Administration, Vice Chairman of the Joint Committee on the Environment, Natural Resources & Agriculture, Vice Chairman of the Joint Committee on Small Business & Community Development and he is a Member of the Joint Committee on Ways & Means and the Joint Committee on Transportation. He has previously served on the Joint Committee on Economic Development & Emerging Technologies and the Joint Committee on Labor & Workforce Development. Senator Rush is an Iraq War Veteran and a Lieutenant Commander in the United States Navy where for twenty two years he has served in the Reserves following active duty boot camp. Lieutenant Commander Rush is currently assigned to the Office of Naval Intelligence as an Intelligence Officer. Prior to serving as a commissioned officer, he worked on peacetime construction projects as an enlisted sailor with Naval Mobile Construction Battalion 27—better known as the “Seabees”. While serving in the Legislature, Lieutenant Rush was deployed to Iraq in support of Operation New Dawn. While in Iraq, he served with the Combined Joint Special Operations Task Force – Arabian Peninsula (CJSOTF-AP) and was assigned to a U.S. Army Special Forces Military Transition Team working with Iraq Counter-Terrorism Services, the Headquarters Command for Iraq Special Operation Forces (ISOF). As part of the Military Transition Team, Lieutenant Rush worked to train, advise, and assist Iraqi Counter-Terrorism Forces. Senator Rush holds a Juris Doctor from Southern New England School of Law and holds both a Master of Arts Degree with distinction in United States History and a Bachelor of Arts Degree with a double major in History and Political Science from Providence College. He is a member of Phi Alpha Theta, the International Honor Society for Historians. As the Chairman and founder of the Legislative Parks Caucus. Senator Rush has worked tirelessly to make Massachusetts number one in the country for having a world-class state parks system. He continues to work closely with colleagues to ensure that adequate funding is secured to protect, clean, and maintain our state park land. Senator Rush is the recipient of the Boston Police Emerald Society’s Man of the Year Award, the Massachusetts Marine Corps League Semper Fidelis, the Massachusetts Veterans’ Service Officers Association 2012 Veterans’ Appreciation Award for his commitment, service, and sacrifice for the United States and Massachusetts veterans. He is a member of the Veterans of Foreign Wars, the American Legion, and Iraq and Afghanistan Veterans of America, and an Eagle Scout. Senator Rush is a second generation Irish American. His paternal grandparents immigrated from Ireland and his maternal grandparents, Thomas and Agnes Hines Meagher, were natives of South Boston. Senator Rush is the son of Virginia and the late James Rush of West Roxbury Prior to his election to the Legislature, Senator Rush was a history teacher at Catholic Memorial High School, his alma mater and Newman Prep. He is a lifelong resident of Boston’s Neighborhood of West Roxbury where he and his wife Mary, along with their children Ciara and James currently live. 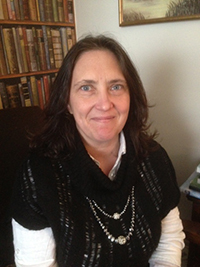 Originally from Fanad, Co Donegal, Nuala has been living in Boston for over 17 years. During this time she has been heavily involved with the Irish American Community. A previous member of the Board of Directors with the Irish International Immigrant Center in Boston Nuala worked closely with the center which provides necessary support for immigrants from over 120 countries. In addition she has served on many voluntary committees to assist with fundraising initiatives for the center. 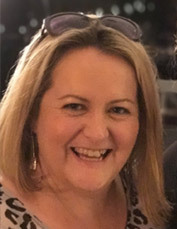 Nuala has represented several Irish groups on a consultancy basis including Uduras Na Gaeltachta, The Donegal County Development Board, Donegal County Council and many individuals from the North West of Ireland. Acting as a liaison, Nuala provides support to traveling delegations by way of devising itineraries, logistical support and event planning. Examples of previous events include: The Irish North West – Making Business Happen event, co-planned with Derry City Council and Donegal County Council which took place at the Massachusetts State House. The Fanad Accordion Band Tour of Boston. As part of a committee chaired by then State Representative Martin J. Walsh, 99 members of the group traveled to Boston to take part in the South Boston St Patrick’s Day Parade and a week of organized events. In addition Nuala has participated in The Golden Bridges Conference/Awards an annual event between the North West of Ireland & USA. Nuala has also volunteered on several political campaigns including the Mayor of Peabody MA campaign and the Martin J. Walsh for Mayor of Boston Campaign. In her spare time, she is a current member of The Boston Donegal Association and an avid Donegal GAA supporter traveling to her native Donegal regularly to attend matches. Nuala is honored to be involved in the upcoming 2017 Golden Bridges Awards. In 2013 Peter took the role of manager for the Allstate Technology Support Centre. Key responsibilities included ensuring the provision of high quality service desk support for the customers, employees and agents of Allstate on the critical business applications. The role necessitated driving a culture of continuous improvement in the delivery of the service, which is evident from significant strategies Peter delivered such as Knowledge Centred Support, ITIL adoption, enhancing Self Service capabilities and redefining the ATSC Customer Interaction model. 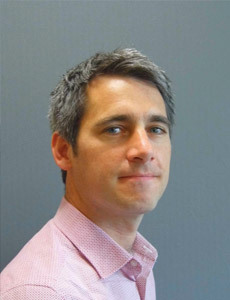 In October 2010 Peter was appointed as the Senior Manager for Operational Services. Key responsibilities included the management and implementation of projects and functions which included Quality, Metrics, Lifecycle Processes, Compliance, Business Continuity/Disaster Recovery, Internal Systems and Security Governance. Peter started his career with Allstate Northern Ireland in April 2010 as a project manager. His initial assignments were in support of the DMEA business area, with project management responsibility for projects such as Mobile technologies and the Agent Number Remuneration. Peter spent 10 years of his career from 2000 to 2010, working with Raytheon Systems Limited progressing through a number of roles, from starting his career as a software engineer, to being Software Engineering Site Lead for the Northern Ireland Operation and finally being Project Engineering Manager on a multi million pound defense contract, managing global teams and suppliers. He has over 20 years experience in IT, holding a number of roles starting as a software engineer and progressing through a number of positions in software and project management. Peter has worked in a number of domains such as defense and financial sector before joining Allstate. 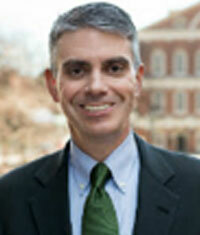 Ryan Mahoney is Executive Director of Ireland’s Great Hunger Museum at Quinnipiac University. The museum contains the world’s largest collection of Great Hunger-related art by noted contemporary Irish and Irish American artists as well as a number of period paintings by some of Ireland’s most important 19th-century artists. Prior to joining Ireland’s Great Hunger Museum, Mahoney was the Executive Director of the Irish American Heritage Museum in Albany, NY. 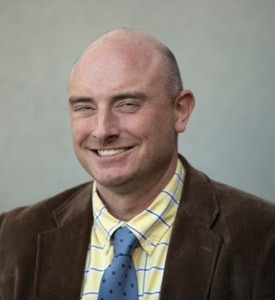 He holds has a dual-degree in history and political science from St. John Fisher College and a master’s degree in public history from the University at Albany. He has served as a national board member of the Irish American Cultural Institute, as well as a board member of the United Irish Societies of the Capital District, Inc. He has also been active with the Ancient Order of Hibernians and Albany St. Patrick’s Day Parade Committee. In 2016 Mahoney was named an Irish Top 40 Under 40 by the Irish Echo. Ray O’Hanlon is the editor of the New York-published Irish Echo newspaper. A native of Dublin, O’Hanlon has reported from three continents in a 38-year newspaper that has unfolded on both sides of the Atlantic. In addition to his work as a reporter and editor, O’Hanlon has been a frequent contributor to U.S., Irish and British media outlets reporting on Ireland, Irish-American affairs, and Anglo-Irish relations. He has appeared on CBS 60 minutes, ABC World News Tonight, and the Lehrer News Hour on PBS. He has also been interviewed on RTE, BBC and ITV, both television and radio. His book, The New Irish Americans (Roberts Rinehart, 1998) was the recipient of a Washington Irving Book Award. The South Lawn Plot (Gemma Media, Boston) his first fiction work, was published in 2011. He is currently writing a book on Irish immigration to the United States. The Newtownstewart native has more than 20 years of experience in the education sector, having started out her career as a Primary School teacher. Samantha joined North West Regional College in 2002, as a Lecturer in Early Years, and has held various positions, including, Head of School and most recently Head of Department Training and Skills. In 2017, she was appointed the Vice-Principal of Curriculum and Information Services. Samantha is committed to ensuring that the people of the North West region and surrounding hinterlands, including her own area of West Tyrone get the best opportunities that further and higher education can offer them in Northern Ireland. Through the College’s dedicated Business Support Centre, she encourages local businesses and industry in the North West to avail of the training and up-skilling opportunities that exist in the College and assists them to source funding to undertake innovative research and development activities. North West Regional College is the largest learning and economic agent in the region with a turnover of £35M. There are 790 staff employed at the College and almost 16,000 enrolments in full and part-time study across campuses in Derry~Londonderry, Limavady and Strabane. As Vice Principal, Samantha plays an active role in some of the key city and region economic and innovation forums in partnership with the Regional Councils, Ulster University, Invest NI, Londonderry Chamber, Letterkenny Institute of Technology and Donegal County Council through the North West Corridor. NWRC provides an industry focused Professional and Technical Curriculum and is both a NEF (UK) – STEM Assured College and one of 11 leadership colleges in the UK Creative and Cultural sector. The College Business Support Centre (BSC) provides a range of technical innovation intervention to SME’s in association with the Department for the Economy, Invest NI, Inter-trade Ireland and SEUPB. The College has been developing specialisms in Food Technology, Assistive Living and Digital Technologies. All this is underpinned by a strong qualifications base in traditional STEM Curriculum. The College is also active in supporting Invest NI in growing both indigenous industry and attracting foreign direct investment to the City and Region. Seamus Neely has been the Chief Executive of Donegal County Council since 2010. Seamus started his public service career with Donegal County Council before moving to various roles in Local Government in Cavan and Monaghan Town and County Council. Seamus holds an honours degree in Business Studies from the University of Ulster and an MBA from Dublin City University. He is currently a Board Member of Transport Infrastructure Ireland and is Chairman of Donegal Tourism Ltd.
Seamus has led the process of organisational change through a local government reform programme that has resulted in the merger of the four former Town Councils in Donegal with Donegal County Council. These reforms enabled the preparation of a Local Economic and Community Plan for Donegal that provides the basis for the collaboration with Derry City and Strabane District Council in the promotion and development of the North West City Region incorporating Letterkenny / Derry and Strabane as an economic driver for a cross border population of over 350,000 people. Seamus Ó Domhnaill hails from Falcarragh in the northwest of the Donegal Gaeltacht. A native Irish speaker he first entered Politics in 2009 and was again returned in 2014 topping the poll oin both occasions where he represents the Glenties Municipal District on Donegal County Council.He has served as a Member of the Donegal County Enterprise Board up to 2014 and a member of the Planning & Economic strategic policy Committee as well as the Housing and Corporate Policy Committee of the Council since 2009. Seamus is a member of the Northern & Western Regional Assembly and has served as Chairperson of the assembly in 2014 -2015. He takes particular interest in the promotion of Jobs and Tourism in Donegal believing that the quality of life in the County is unequalled the World over. He understands the challenges that are faced being a peripheral region but commends the strides that have and are being made to improve connectivity to and from Donegal. Seamus has a particular interest in the GAA having served as Chairperson of his own Club and has progressed to represent Donegal on Central Council and has been elected to the National Management Committee of the association in Croke Park. Stephen Gillespie is the Director of Business and Culture at Derry City and Strabane District Council. The Business and Culture directorate encompasses a range of services the local Council provides such as economic development and job creation, business support and engagement, ICT, tourism, arts and culture, visitor services, heritage and museums and marketing and communications. 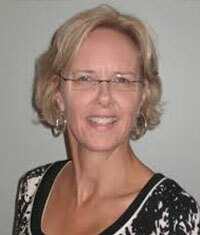 Susan Whoriskey, PhD is SVP of Technology Strategy and Business Development at Trucode. Previously, she served on the founding Executive Teams of Cubist Pharmaceuticals (CBST), Momenta Pharmaceuticals (MNTA), and Moderna Therapeutics. 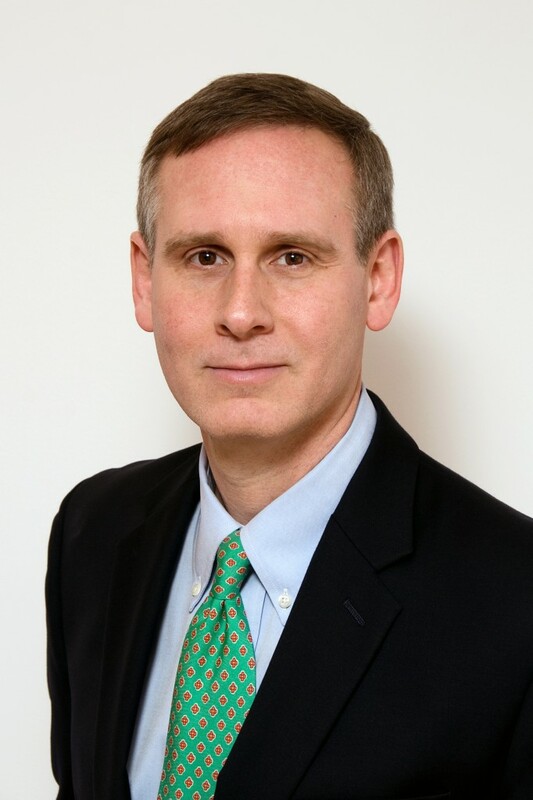 As a member of the Executive Teams, Dr. Whoriskey played key roles in building teams, managing translation of academic inventions into therapeutic modalities, completing venture capital financings, overseeing numerous patent filings, negotiating corporate partnerships, completing IPOs (CBST, MNTA) and follow-on financings and achieving four FDA drug approvals to date. She has been a consultant to the venture capital firm Polaris Venture Partners and an Entrepreneur in Residence at MIT. Dr. Whoriskey earned her BS from University of Massachusetts-Amherst and PhD from UCLA and was a Research Fellow in Molecular Genetics at Harvard Medical School with a 2009 Nobel Prize winner. She is an inventor on numerous issued patents and a recipient of an Honorary Doctorate in Biotechnology and Entrepreneurism from the University of Ulster. Former Massachusetts Senate President Therese Murray served for over 20 years in the Massachusetts Senate. During her tenure Murray emphasized the importance of our health care industry, working on the original health care reform legislation and authoring three additional health care bills focused on cost containment, quality and access to care. During her tenure as President of the Massachusetts Senate, Murray made international economic development a priority, seeking out partnerships and opportunities for Massachusetts companies and organizations to expand their reach. Seeing the importance of international economic development to the Massachusetts economy, Murray founded MassIgnite following her departure from the Massachusetts Senate. Murray’s success in these international collaboration efforts has afforded her the opportunity to speak about economic development around the world. Murray has earned numerous honorary degrees including: Master’s Degrees from Massachusetts Maritime Academy and Westfield State University; Juris Doctorates from Suffolk University of School Law and New England School of Law and an honorary Doctorate in Health from the University of Plymouth (UK). She has also been awarded the medal of St. Olga from the Pskov region of Russia, and, most recently, the 2014 Tip O’Neill Diaspora Award presented to her by Irish President Michael Higgins. Therese has recently been named a Senior Advisor at Rasky Partners. Mayor Thomas M. McGee is a lifelong resident of Lynn. Raised with the value of the importance of public service, Mayor McGee has dedicated his life to serving this community and working to make the lives of its residents better. Mayor McGee began his career in public service when he was first elected to the Massachusetts House of Representatives where he served four terms in from 1995-2002, representing West Lynn and Nahant. In 2002, McGee took the next step in his career when he was elected State Senator for the Third Essex District, representing the communities of Lynn, Lynnfield, Marblehead, Nahant, Saugus, and Swampscott. 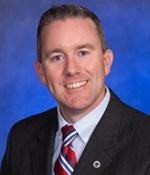 As a State Senator, McGee was appointed to serve as the Senate Chair of the Joint Committee on Transportation from 2011-2017. He was also Co-Chair of the Massachusetts Afterschool and Out-of-School Time Coordinating Council, Co-Chair of the Metropolitan Beaches Commission, and Co-Chair of the Metropolitan Planning Organization Commission. During Mayor McGee’s time in the Massachusetts Legislature, his commitment to the issues that impact our neighborhoods were always the top priority. McGee focused on quality education and extended learning opportunities for students in the Commonwealth, improving the state’s transportation system and fighting for regional equity, working to improve the lives of children and their families, ensuring accessible and affordable childcare and healthcare for working families, and expanding workforce training and development. In 2017, Thomas M. McGee was elected to serve as Mayor of the City of Lynn. He was sworn in for his first term in January, 2018. As Mayor, McGee draws from his past experiences to work collaboratively with the residents of the city. Promoting and preserving our communities and neighborhoods, improving our public schools, unlocking the potential of a revitalized downtown and waterfront, supporting arts and cultural opportunities, and ensuring fiscal responsibility, Mayor McGee believes there is much to be achieved because he believes in the strength of our city and its residents.